The son of London based sculptors Thomas and Mary Thornycroft, he trained with his father and assisted him on the Commerce group for the Albert Memorial (1863-75) and the Park Lane Fountain, London, before entering the RA Schools in 1869. Winning the Gold Medal, 1875, he later received numerous commissions for public monuments throughout Britain and the Empire. These include the statues of General Gordon, Victoria Embankment, London and Melbourne (1888); Oliver Cromwell, Westminster (1899); King Alfred, Winchester (1901); and the Curzon Monument, Calcutta (1906) and King Edward VII, Karachi, India (1915). 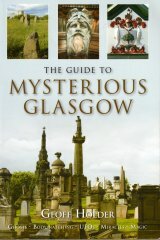 In Scotland, he produced the public monuments to Peter Denny, Dumbarton (1898-1902), and Sir William Ewart Gladstone in Glasgow's George Squre (1899-1902). An admirer of Gladstone, Thornycroft accepted Glasgow's commission with 'eager pleasure' after winning a competition against William Goscombe John, Edward Onslow Ford and George Frampton , and included a further two portraits of Gladstone on the bronze panels on the statue's pedestal. These depict him debating in the House of Commons and felling trees at his Country house, Hawarden. The latter panel also includes a group portrait of Gladstone's wife and children. The pedestal itself was carved in axed Kemnay granite by William Boddie, of Aberdeen, and constructed by Morrison & Mason Ltd , of Glasgow. With the surplus from the statue's subscription fund, Thornycroft produced a marble bust of Gladstone for Glasgow's Kelvingrove Art Gallery and Museum (reg. no. S.96), and was instrumental in the museum obtaining a copy of the British Museum's bust of Homer as a further tribute to him (another scheme at the time, to include a bust of Gladstone on the facade of the Gladstone Memorial Institute in Govan (architect: William Ross, 1906), was later abandoned. The building is currently awaiting demolition, August 2008). Thornycroft produced another statue of Gladstone for London's Strand in 1905, which was part-funded by the Gladstone National Memorial Fund. His best known work, however, is the chariot-group Boadicea, Queen of the Iceni and her Daughters, on Westminster Bridge, London, which was completed from a model by his father and presented to the nation by his brother, Sir John Thornycroft (1901-2). He executed sculpture on J. Belcher's Hall of the Institute of Chartered Accountants, London (1899), and exhibited portrait busts and genre pieces at the RA from 1872, and RGIFA , 1880-1920. A founder member of the Art Workers Guild, he was elected ARA , 1881, RA , 1888, and was knighted in 1917. He was awarded the RIBA Gold Medal, 1923. Portraits of Thornycroft include a caracature by 'Spy' (Sir Leslie Ward) in Vanity Fair, and a painting by T. Blake Wirgman, both of which are in the National Portrait Gallery, London. In 1919, Thornycroft's marble group Stepping Stones, of 1878, was gifted to Glasgow by Captain Wallace. Now in the collection of Glasgow Museums (reg. no. S.140), the group is on permanent display in the Kibble Palace in the Botanic Gardens. The group comprises a young girl carrying a child in her arms, gingerly crossing a stream on stepping stones. Exhibited at the RA in 1879 (Cat. 1514) and the RGIFA in 1880 (Cat. 759), it was originally accompanied with the couplet: Pausing with reluctant feet / where the stream and river meet. Stepping Stones was cleaned during the refurbishment of the Kibble Palace in 2005-7, and provided with a new granite pedestal.